When the medical student likened the pieces of banana in the desert at the Chinese restaurant to Reed-Sternberg cells of Hodgkins lymphoma, I knew he had the right stuff. It is that time of year, and my own offices particular form of March madness, when I precept a medical student from University of Virginia for a week – compounding my discombobulation and lateness, but providing stimulation and learning - for me as well as for the student. 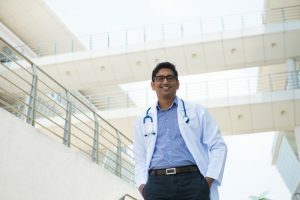 As these greenhorns venture out from their ivory tower and test the waters of the chaotic life of real practice, one is assessing not only their fund of knowledge but also generally whether they have the right stuff to be a doctor. One thing that has always intrigued me, and made me think the pathologists of old must either have been gastronomes, or just plain sick, is the way in which so many diseased organs are likened to food stuffs. Thus we have “chocolate cysts” in the ovary, “sago spleen” of sarcoidosis, “nutmeg liver” in vascular congestion and “redcurrant jelly stool” of intersusseption (guaranteed to put you off eating roast lamb with red currant jelly ever again). So when the student likened his two oblique slices of banana, swimming in a rather lurid looking creamy pink sauce to Reed-Sternberg cells, he was upholding an age old tradition. The other tradition he was upholding was the ability to discuss the most disgusting medical pathologies while eating. In medical school, about the only time you got to discuss the fascinomas you had seen on rounds was at lunch time. It didn’t matter how lurid was the pathology you had encountered, how foul the discharge, how purulent the sepsis, it was all fair game. I was pleased to note nothing had changed when, at a drug company sponsored dinner meeting at Jake and Mikes recently for the anti-constipation drug Zelnorm. As the speaker droned on one of the reps produced a glossy folded pamphlet illustrating the Bristol Stool Scale. Pretty color pictures of stools ranging from “lumps like nuts” to a soupie mess with “no solid piecees”. We took it all instride – while our flagrantly gay and irreverent Physicians Assistant cracked jokes about “pictures of your children”. A strong stomach is only one of the attributes a doctor needs of course. But this got me thinking about what are the characteristics of a good doctor– or doctor in the making. One criticism of the whole medical education thing is that the only thing that the teaching establishments can measure in a quantifiable way is knowledge. But, as I tell my patients – and the student – I feel like I’m more like a friend to my patients with a little bit of medical knowledge. If we’re getting into the small print stuff, that’s why god invented specialists. What you really need is common sense. As we consulted together this last week in the exam room over a patient with chest pain, I ask “what’s the best predictor of this patients pain coming from heart disease?”. The student looks anguished. I can see him desperately trying to recall lists of differential diagnoses. Could it be a pneumothorax, a dissecting aortic aneurysm or a thymic tumor and what would be the characteristics of the pain if so. Another, somewhat un-teachable skill is being a good listener – and hand in hand with this goes compassion. I like that old aphorism about what are the characteristics that will bring patients to see you, which ranks affability (together with availability and affordability) higher than ability. I cannot forgo the opportunity here to take a dig at our latest hero of the medical field, Dr House. Plaid brilliantly by Hugh Lawry I have to say, this curmudgeonly antihero is all ability and definitely lacking on the affability. The student and I watched a couple of episodes – as part of his education you know - and gerfortled at the out and out absurdity of medical scenarios portrayed. But my teaching point to him was, that patients really don’t want a doctor like Dr House, overflowing with information, but deriding and denigrating them. They want someone who will listen and sympathize – which ability is hard to teach. We have seen our share of doctors, wholly lacking in common sense and interpersonal skills, come and later, thankfully, move on from our group. Although I am being a bit facetious in saying this years UVA student has the right stuff because he likened a slice of banana to a lymphoma cell, and he may have trouble recalling the causes of chest pain, or the risk factors in calculating cholesterol levels or the symptoms of depression, he had an inherent compassion that would make me willing to take him on as a partner. I’d just buy him a textbook as well.